General a Rod won Thursday’s fourth and feature race in near record time at Gulfstream Park, covering 1 1/16 miles in 1:41.23 over a sloppy and sealed dirt track. The track record is 1:40.97, set by the-then 3-year-old Social Inclusion on a fast track on March 12, 2014. General a Rod, the even-money favorite, was racing on an off track for the first time. He was ridden by John Velazquez and beat Midnight Cello by 7 ½ lengths in Thursday’s $48,000 allowance/optional claiming race. It was the first victory for General a Rod, a 5-year-old, since last March 7 when he won the Challenger Stakes at Tampa Bay Downs. Todd Pletcher trains General a Rod for Starlight Racing and Skychai Racing. General a Rod broke alertly from the rail post and settled along the inside as Flashy Jewel jumped out to a big lead down the backstretch through a quarter-mile in 23.20 seconds, a half in 45.59 and six furlongs in 1:09.77. General a Rod began to close the gap on the outside approaching the far turn, moved up to challenge midway around the bend and moved effortlessly to the lead at the head of the stretch with Grade 3 winner Midnight Cello in pursuit. General a Rod sprinted clear of the field followed by Midnight Cello, Hesinfront, Norumbega and Flashy Jewel. General a Rod was a top 3-year-old in 2014 when he finished second in the Fountain of Youth (Grade 2) and third in the Florida Derby (Grade 1), both at Gulfstream, and fourth in the Preakness (Grade 1). Thursday’s win was the fourth in 14 starts for General a Rod, a son of Roman Ruler. In his first nine races, General a Rod was owned by Armando Rodriguez and trained by Michael Maker. Last summer, Rodriguez sold the horse to Starlight and Skychai and they transferred him to Pletcher. 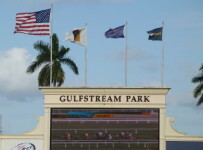 Most recently, General a Rod was no factor finishing sixth in a one-mile optional claimer Dec. 31 at Gulfstream. Prior to that he finished 11th, in his turf debut, in the Manhattan Stakes (Grade 1) at Belmont Park last June 6. 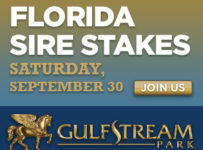 Gulfstream will have the $350,000 Holy Bull (Grade 2) and four other stakes races on Saturday. All of the stakes are for 3-year-olds. The Holy Bull is 1 1/16 miles on dirt and is a major prep for the Florida Derby (Grade 1) at Gulfstream on April 2 and for the Kentucky Derby (Grade 1) at Churchill Downs on May 7. Mohaymen, unbeaten in three starts, heads a six-horse field. 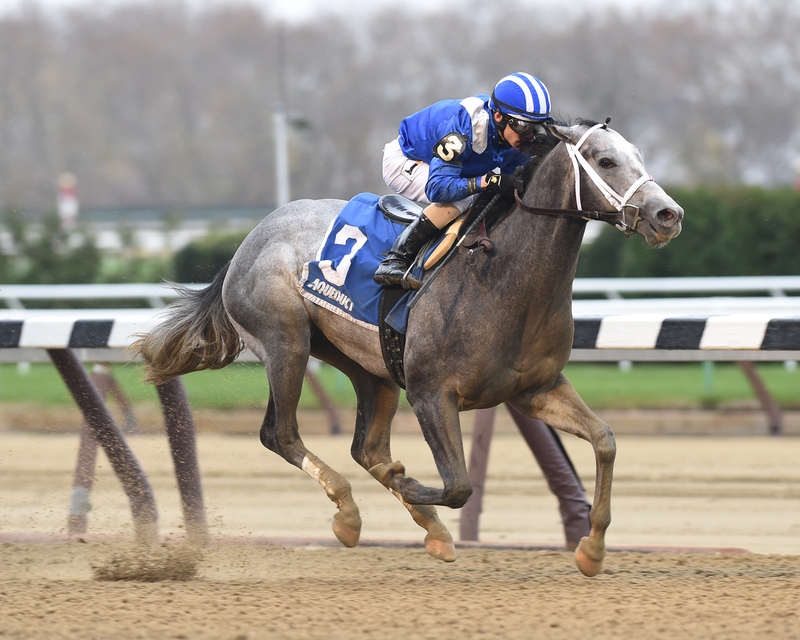 On Nov. 28, Mohaymen won the Remsen Stakes (Grade 2) at 1 1/8 miles at Aqueduct. He is in the top 5 of almost all analysts’ lists of Kentucky Derby contenders. Kiaran McLaughlin trains Mohaymen for Shadwell Stable. Regular jockey Junior Alvarado has the mount. Perfect Saint, Conquest Big E, Fellowship, Greenpoint Crusader and Frontier Ranger also are in the Holy Bull field. 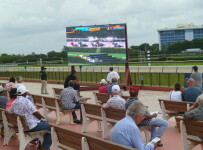 The Holy Bull is Saturday’s 11th race, with scheduled post of 5:05 p.m.